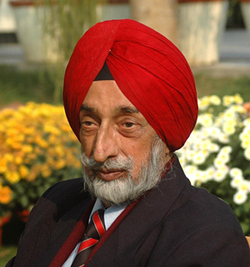 Air Commodore Jasjit Singh died on August 4th. He was a highly decorated fighter pilot who subsequently served as the Director of Flight Safety and the Director of Air Operations at Indian Air Force Headquarters. After retiring from active duty, he became an influential figure in private deliberations and public debates on strategic issues, serving as the Director of the Institute for Defense Studies and Analyses and subsequently the Centre for Air Power Studies. Jasjit was a rite of passage for US strategic analysts venturing into the subcontinent. I first experienced his patient, low-key, extended exegesis way back in the day when the IDSA was located at Sapru House. We had our disagreements, but there was much less worth arguing about in recent years. When we last met at his Centre for Air Power Studies, where I was pitching an International Code of Conduct for responsible space-faring nations, Jasjit was gracious with supporting words. Now that India has moved toward a weapon status, it can afford to be somewhat more relaxed about the time-frame for disarmament… One would link India’s own weapons to global disarmament on the principle of proportionality. That is, India would denuclearize in proportion to the denuclearisation of other weapon states…. Recessed deterrence may be defined as a credible nuclear weapons capability which a country is able to draw upon for political and diplomatic purposes, and is able to deploy a nuclear arsenal within a defined time-frame and effectively use it physically for military purposes…. The exact size of the arsenal needed at the end-point will need to be worked out by defence planners based on a series of factors. But at this point it is difficult to visualize an arsenal with anything more than a double-digit quantum of warheads. It may be prudent to even plan on the basis of a lower-end figure of say 2-3 dozen nuclear warheads by the end of 10-15 years…. The artificial division of nuclear weapons into tactical and strategic is not only irrelevant for us, but carries with it the danger that a belief system could grow in a way that might justify the use and utility of such weapons for actual war-fighting. A great man. Always had time for a hearty conversation or to educate others on the huge myriad of subjects of which he mastered, all done with patience and class. He will be sorely missed. No words can fill the void left by him. Never met him but I read the memorials here and in India. A great man much loved by colleagues. Mike, thanks for the well-deserved tribute. True story about India, where there may be a billion people and untold numbers of Singhs, but there are amazing coincidences. Jasjit told me that his son, also a pilot, had become an employee of Jet Airways. I was flying from Delhi to Srinagar on Jet Airways. The Captain gets on the intercom to welcome us along the way. Guy named Ajay Singh. I asked one of the flight attendants to carry my business card up to the cockpit, with this message: are you Jasjit’s son? Flight attendant comes back and asks me accompany her up front. You guessed it. Ajay let me sit beside him in the cockpit to relish the view prior to the approach into the Valley. Jasjit and I were the co-organizers for the first series of Indo-US strategic dialogues (hosted by IDSA and INSS) back in the early 90s when India and the US first started to discuss the need for a future-oriented relationship. His contributions in setting the stage for what has become an entirely changed strategic relationship between the US and India were significant and largely unrecognized. Rest in peace my friend!